Android, iOS and cloud based secure solution enhances trust for brands and consumers. AISCES today announced its latest innovation Cheqbrand, the most secure anti counterfeit solution. Cheqbrand revolutionizes the way brands protects products from counterfeits, and the way consumers identify genuine products before a purchase decision. "The Cheqbrand anti counterfeit solution is a game changer in the anti counterfeit industry." said Anuj Pachoree, CEO of AISCES "It solves the problem of anti counterfeiting by providing real time data to the brand owners to detect fakes, at the same time Cheqbrand provides consumers with a trusted platform to verify authenticity of a product." 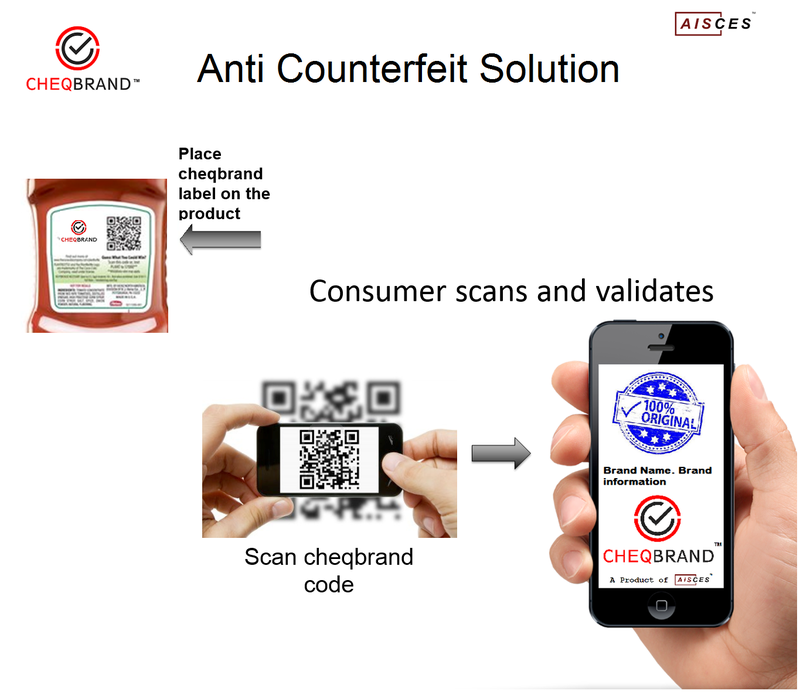 Cheqbrand features an anti counterfeit label which can be verified using a smartphone application. The verification of the label happens over cloud and is PCI compliant secure. Cheqbrand supports both QR and NFC based labels, and can be easily integrated with the manufacturing setup of a brand's production line. Multiple brands can be supported on the Cheqbrand platform. The Cheqbrand platform also helps brands achieve track and trace and serialization for each SKU of a brand's products. Cheqbrand provides real time data to brands about possible counterfeit locations. Cheqbrand is very easy to use for both brands and consumers. AISCES is a technology company in Noida. AISCES provides products for payment tech and retail tech.